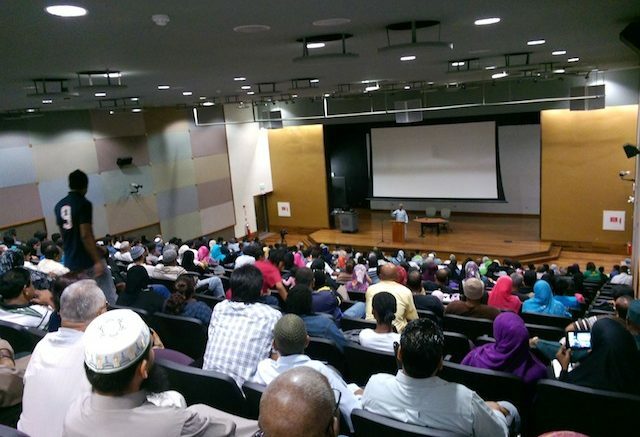 The recently concluded Islamic Awareness Week (IAW) in Trinidad and Tobago (Sept.13th-21st.) had a positive impact on the community in terms of sharing country’s Muslims’ faith experience especially with the Christian community, so said Mr. Mirza Ali, Chairman of the Organizing Committee. Speaking via telephone, Mr. Ali, the former Islamic Dawah Movement (IDM) head disclosed that fifteen (15) persons testified with conviction that God is One and Muhammad (peace be upon him) is His Messenger, thus making them Muslims. 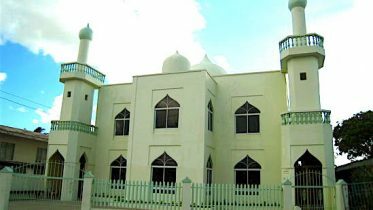 The specially invited missionary, Sheik Awal, who has training in Comparative Religion, delivered two lectures on the merits of the revealed religious texts exploring the theme that Jesus as a Messenger of God, as opposed to “son” of God. These sessions were held at Daaga Hall, University of the West Indies (UWI) St. Augustine and the other at Motorway Hall in Princess Town, in the southern part of the island. Both lectures were delivered to packed audiences. At both sessions Pastors made presentations as well on the case that Jesus is the “son” of God. Sheik Awal quoted the Bible to demonstrate that Jesus was a Messenger of God and that he was sent to preach that God is One. The multifaith audiences were enlightened and deeply moved by the calibre of Sheik Awal’s presentation, according to the IAW chairman. Mr. Ali also disclosed that during the week hundreds of English translations of the Quran were given away and scores expressed a desire to learn more about Islam. Many more, according to Mr. Ali, said that they were at the cusp of accepting that God is One and that Muhammad (peace be upon him) is His Messenger. With this simple testimony they would become Muslim. The IDM’s programmes are sponsored by individual members and by its own fund raising activities. The group plans to invite Sheik Awal for next year’s Islamic Awareness Week. Additionally plans are in the works to take the IAW to Tobago to share the good news with the population there as well, God Willing. Be the first to comment on "AWARENESS WEEK A SUCCESS"